The social media updates and news you need to know this week. Updates for Facebook, Twitter, Snapchat, Instagram, and more! Facebook updates their News Feed algorithm giving prominence to longer videos with higher completion rates: Historically, shorter videos shared to Facebook have had higher completion rates… at least that’s what we’ve been told. After further investigation, Facebook now says that the percent completion metric has been biased towards shorter videos and is part of the reason why shorter videos show up more often in the News Feed. Facebook has begun fixing this disparity by rewarding longer videos with longer completion rates. Facebook reports that most pages probably won’t see significant changes as a result of this update, but if your page shares longer videos, you should see a slight increase in News Feed distribution very soon. Shorter videos won’t necessarily be punished, but distribution will likely be decreased as a result of this algorithm change. Facebook enables security keys for a more secure login: Hacking a Facebook password account isn’t exactly easy, but it’s also not impossible. To improve security on the platform, Facebook users can now use a security key to authenticate their identity during the login process. When you use a security key, hackers won’t be able to get into your Facebook account, even if they have your username and password. Security keys can be purchased through third-party companies and will support the open Universal 2nd Factor standard hosted by the FIDO Alliance. Once login approvals have been enabled, the small hardware device goes into a computer’s USB drive and requires a tap to access your Facebook account. 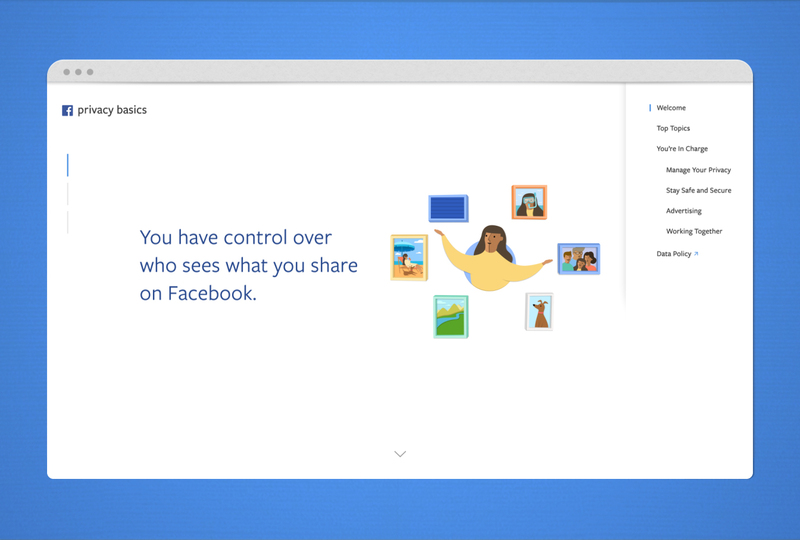 Facebook updates their Privacy Basics page: The new Privacy Basics page is more or less an interactive manual where you can get more information about and access to your privacy and security settings. Facebook’s new Privacy Basics offers 32 interactive guides available in 44 languages with step-by-step instructions and advice about securing your account, understanding who can see posts and there’s even a page that will show you what your profile looks like to others. You can also go through the Privacy Checkup to make sure all your settings are as dialed in as you think they are. Facebook’s trending topics will soon get an update: Facebook announced this week that they are rolling out three new updates to their Trending Topics feature. The purpose of Trending Topics is to show users popular topics being discussed on Facebook that they might not see in their News Feed. The update includes a publisher headline below each topic, an improved system to determine which topics are trending, and a filter which will show topics by region instead of interest. Twitter’s new Explore Tab…It’s really just a replacement for the Moments tab: Twitter will begin rolling out their new Explore tab this week. 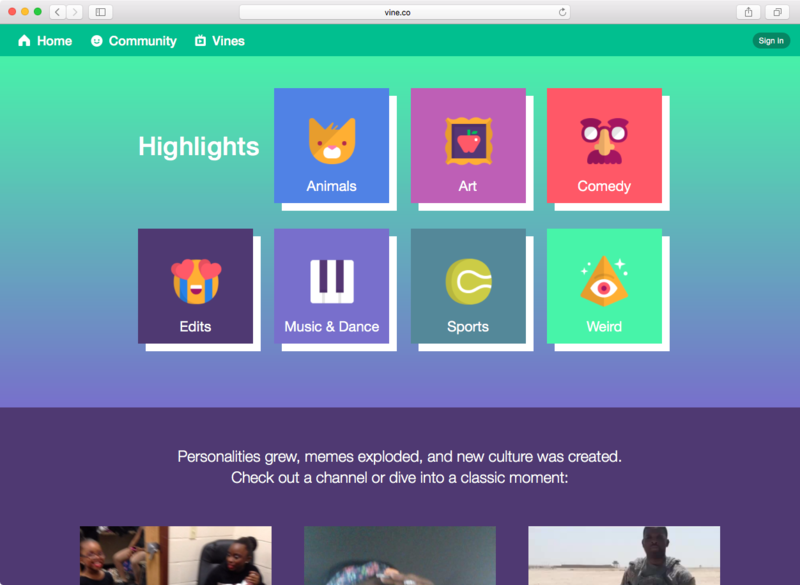 Thew new tab will feature trends, Moments, search and the best of live video. Say Hello to Vine archive..if you really want to: Twitter rolled out Vine Archive this week allowing users to view all vines created since 2013. Twitter discontinued the looping-video application Vine as we had always known it and replaced the app with Vine Camera earlier this month. This latest Vine update includes a new use for vine.co, it is now an archive of Vines from 2013 through 2016. Year—2013, 2014, 2015 or 2016. Genre under Highlights—animals, art, comedy, edits, music and dance, sports and weird. Instagram redesigns the web embeds feature: Instagram cleaned up its web embed design to streamline the look and feel of content shared from the platform. I doubt many users will really notice the slight changes to the embedded posts which include… wait for it… a timestamp. Ta-Da! 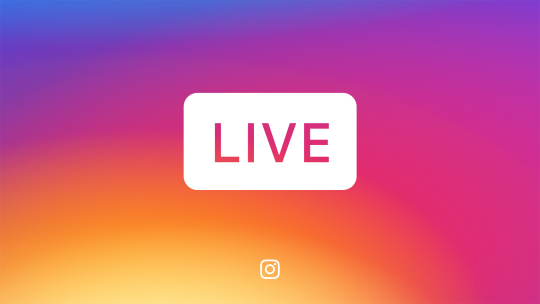 Instagram Live Stories are now available globally: Live video on Instagram Stories which became available to U.S. users of the platform will now being rolling out to Instagram’s entire global community this week. Snapchat partners with Nielsen to serve ads based on a TV-like rating system: Snapchat partnered with Nielsen’s mobile Digital Ad Ratings (mDAR) unit which lets brands plan and pay for ad campaigns using Nielsen’s digital ratings. This change also gives brands the ability to buy guaranteed Snapchat audiences by age group and gender for their mobile video ads. 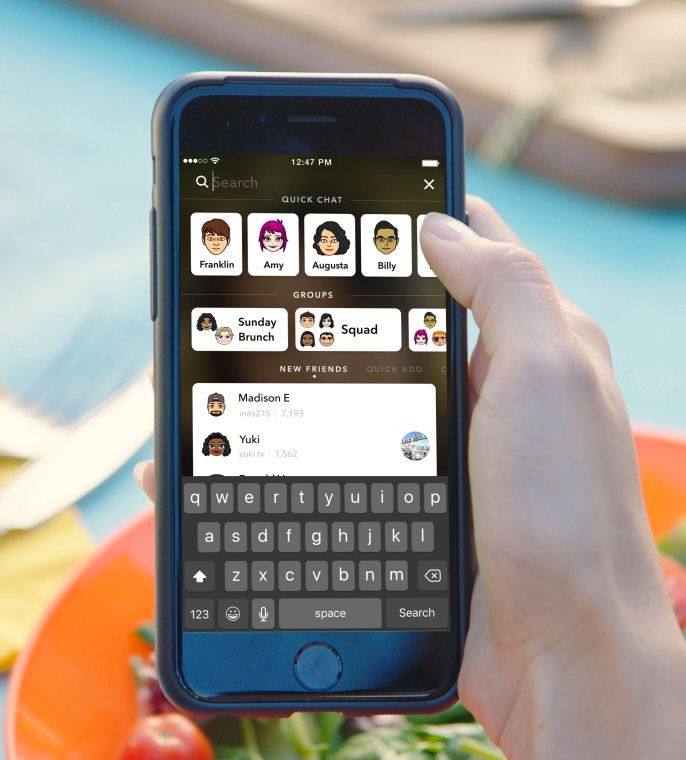 Snapchat has a new layout and universal search features: Snapchat released their latest version, 10.0, this week. The update includes a universal search bar at the top of the interface and a refreshed look. The new search bar allows users of the platform to find friends, groups, Discover publishers and Our Stories. The new search bar also lets you connect with your group chats, flip through a list of new friends, add others or find friends in your contacts and features an overlay with options to access friends’ messages or stories through Quick Chat suggestions all with a tap. Snapchat says ‘No’ to clickbait and suggestive content: Snapchat updated its content guidelines for all publishers on Discover, Snapchat’s news platform, in order to combat fake news and content considered inappropriate for minors. Content posted in the Snapchat’s Discovery will be fact-checked and reviewed for editorial value. An age gating tool should be available to publishers next month to help control the visibility of suggestive content. Tumblr adds filters and stickers: Users loved stickers and filters on Snapchat so much that Instagram and Facebook Messenger added the features to their platforms… and now Tumblr has jumped on the bandwagon, too. Tumblr just added over 100 stickers for your photos and GIFs and a few filters as well to its iOS and Android apps this week. Just click on the new smiley face icon on the bottom of the screen to enable stickers combined with customizable text. Tumblr says that they will continue to roll out more stickers and possibly new filters in the future. LIVESTREAM: Stream live to YouTube, Periscope, and Twitch with Simulcast: Livestream.com supports simultaneous live broadcasts to its premium and enterprise customers. According to the Livestream blog, simulcasting gives broadcasters additional features including white labeling, analytics, and support – with the reach and scale of additional platforms and a key point of distribution for all of their live content. Postmates will deliver booze in 25 minutes or less: As a woman who works from home, booze is sometimes the only reason I leave the house…. okay sure, it’s to see friends too… but still… Now I really don’t have to ever leave the house. If you’re not using Postmates already, you should, it’s kinda fantastic. I live in a part of the city with slightly limited food delivery options and these guys have changed my not-getting-off-the-couch game for sure. Viber is offering free two-way calling between the United States and the seven Middle Eastern’s countries affected by the Trump immigration ban: This includes landline and mobile calls. We connect people – no matter where they’re from. Calls to any landline or mobile between  and       are now free. This is why you might have received a 1099-C tax form in the mail: Yay tax season… (Side note: How do we not have a sarcasm font yet?) If you received a 1099-C form this year, this typically means that you owe taxes on the amount of debt that was forgiven or canceled. There are a few other reasons you may have received this form, though. Dropbox Smart Sync plays well with Mac and Windows PC: Smart Sync is the first cross-platform and backwards compatible system; it works on both Windows and Mac (backwards compatible with Windows 7 and up, or Mac OS X 10.9 and higher). What says you, Google Drive?